The Victoria Leisure Centre 47.32kWp installation has already been completed by Nottingham City Council's in-house energy delivery team as part of the new solar framework. Image: Nottingham City Council. 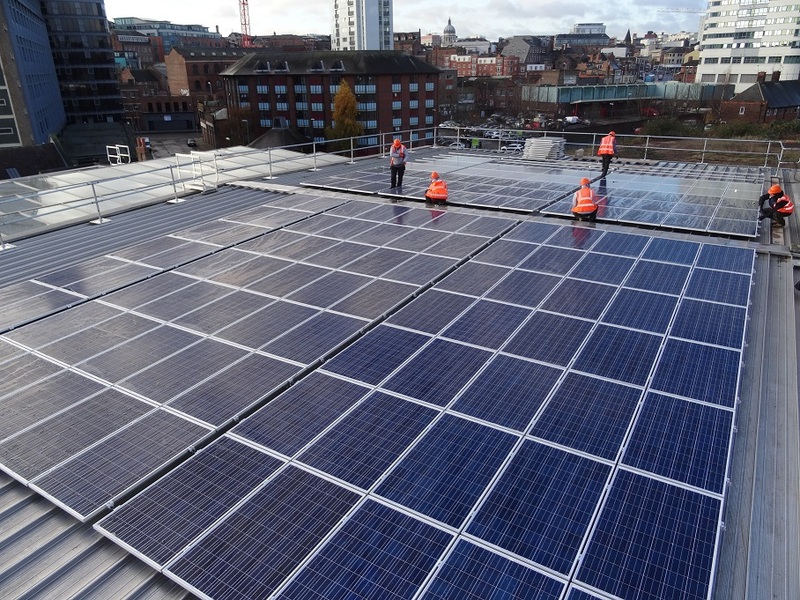 Nottingham City Council has begun work to expand its solar portfolio with the launch of a new framework that could see tens of millions of pounds spent over the next four years on new solar installations in the city and surrounding regions. The council, which has previously installed 1.5MWp of solar across 40 sites, has already committed at least £3 million over the next four years to a pipeline of domestic and commercial solar. This figure could rise to a maximum of £27.5 million of spending by the council depending on its future plans and interest from other local authorities which will have access to the framework to spend additional funds. 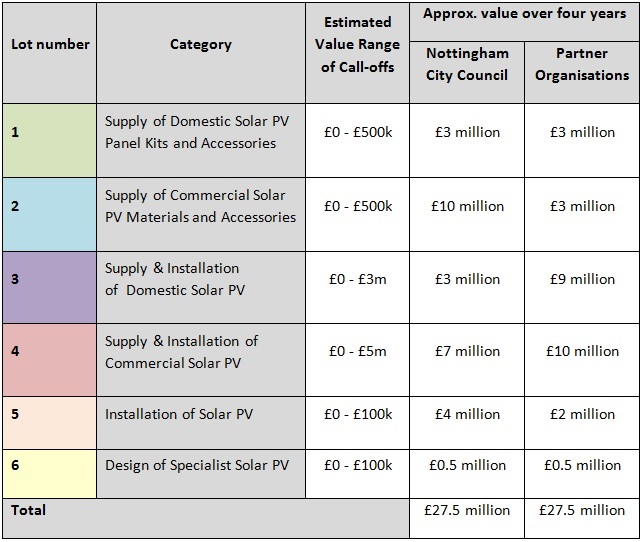 Nottingham City Council’s head of energy projects Wayne Bexton explained to Solar Power Portal that this additional headroom had been put in place to ensure that any boom in interest or activity could be met by this single framework. “We’ve had scenarios in the past where we’ve pinned frameworks very accurately on what we have in place and after a few years we’ve had to go out and develop a new framework as we’ve hit those values. So it’s just to give that headroom,” he said. He added that a number of fellow local authorities had already expressed interest in delivering projects via the framework. It is split into six lots of work covering supply and installation of solar at a variety of sites, both within Nottingham and regionally. The first two lots have already been awarded to Joju Solar, HBS Group and Edmundson Electrical who will act as suppliers for the framework. Up to four contractors will be awarded the other four lots in January. These will complement the council’s own existing in-house energy project delivery team, which has already completed a 47.32kWp system at the Victoria Leisure Centre under the framework. Plans to install solar at the Eastcroft Depot and extend the solar capacity at Harvey Hadden are also being considered as initial projects. Having a framework in place to simplify the procurement process and secure suppliers has been deemed essential by Nottingham City Council, while it is also intended to reduce the delivery costs and turnaround time for projects. In addition, the council hopes the framework will ensure value for money when buying goods and services while at the same time using its buying power to improve the local economy and help create local jobs. City Council deputy leader Graham Chapman said: “Our procurement process will support our local economy, create jobs and deliver value for money for our citizens. As well as supporting local business, the council’s solar pipeline will support our commitment to tackle climate change while reducing our operating costs and protecting frontline services.